Halloween is tomorrow and my annual Halloween horror movie marathon is in full swing. Fact: I am a fan of the horror genre. I blame it on my Mother – she always made Halloween so fun and magical when I was little. From costumes and trick-or-treating, to staying up late each year, vegging out on the living room floor, eating candy while watching Michael Myers. I grew up thinking horror movies were fun. One of my earliest memories is watching The House of Long Shadows starring the fantastic Vincent Price. Granted, this is probably one of my earliest memories because it scared the ever living crap out of me and scarred me for life. Nevertheless, I love me some scary movies. Particularly the cheesy nineteen-eighties films like Nightmare on Elm Street, Friday the 13th and my absolute favorite, Halloween. Since it’s that time of year again, I’d like to dedicate this blog post to all the classic Scream Queens of the silver screen. I will never forget seeing this movie in the theater when it came out and it is still one of my all-time favorite movies. Fans will always remember that creepy voice asking “What’s your favorite scary movie?” at the opening of the film. And Sidney is my top choice for Scream Queen in terms of what a good horror heroine should entail – she was a good girl who was determined to stay alive at any cost. Campbell went on to star in all four additional Scream movies, all of which were note-worthy horror films – something that rarely happens in the world of sequels. In 1984 we were introduced to one of the most recognizable monsters of all time, known for his striped sweater, stylish hat, burned face and of course, the infamous knife hands – Freddy Krueger. 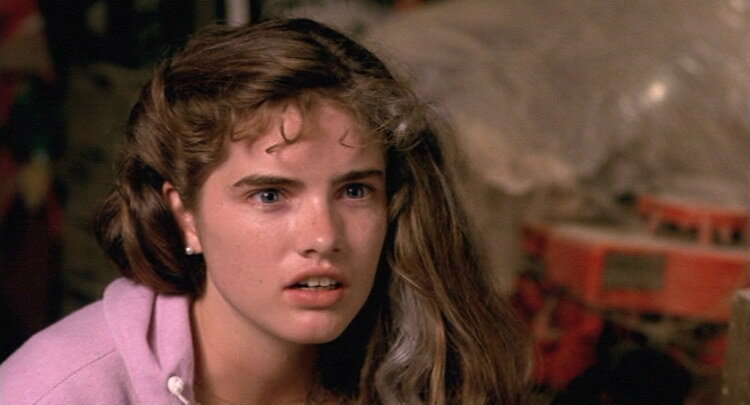 The lead in A Nightmare on Elm Street was a character called Nancy Thompson, played by Heather Langenkamp. Nancy was a high school student (starting to notice a trend here with horror movie leads…) who, along with her friends, begins experiencing horrific dreams that are all too real, starring none other than Freddy himself. As her friends are killed off one by one in the most gruesome of ways, it’s up to Nancy to stay awake and figure out how to take down Freddy. 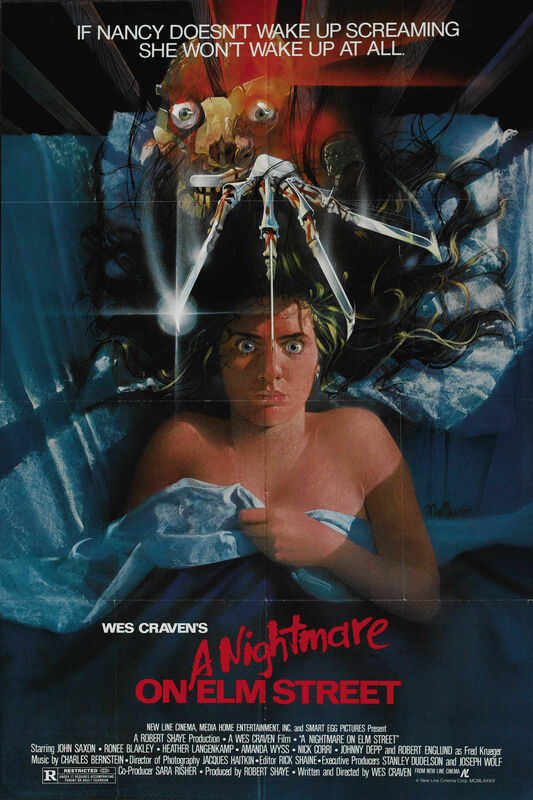 Langenkamp went on to star as Nancy in 2 sequels – A Nightmare on Elm Street 3: Dream Warriors and Wes Craven’s New Nightmare. Sadly though, her reign as a Scream Queen came to an end in Dream Warriors when Freddy finally caught up to her. But then she comes back in New Nightmare. Go figure. RIP, Nancy. What do I say about this next Queen? 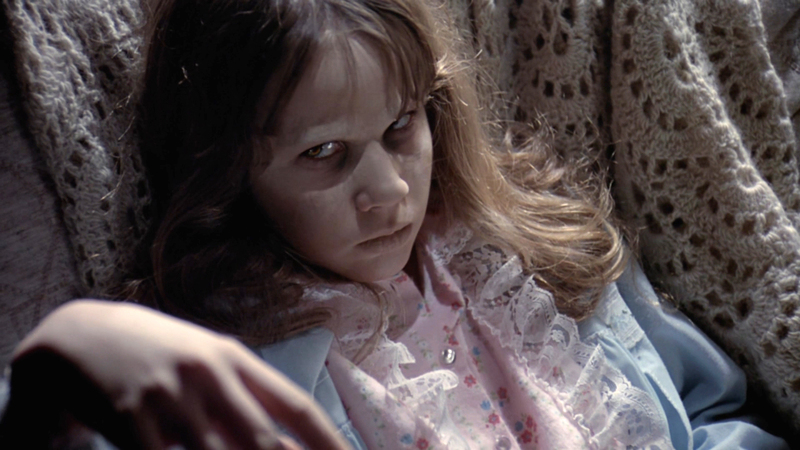 She starred in one of the most scary movies of all time – The Exorcist. Linda Blair portrayed 12 year old Regan, a little girl who is possessed by a very, very evil demon while her mother is forced to helplessly watch. Regan endures some pretty sick torture by the demon possessing her, things involving crucifixes and pea soup that I don’t wish to repeat. 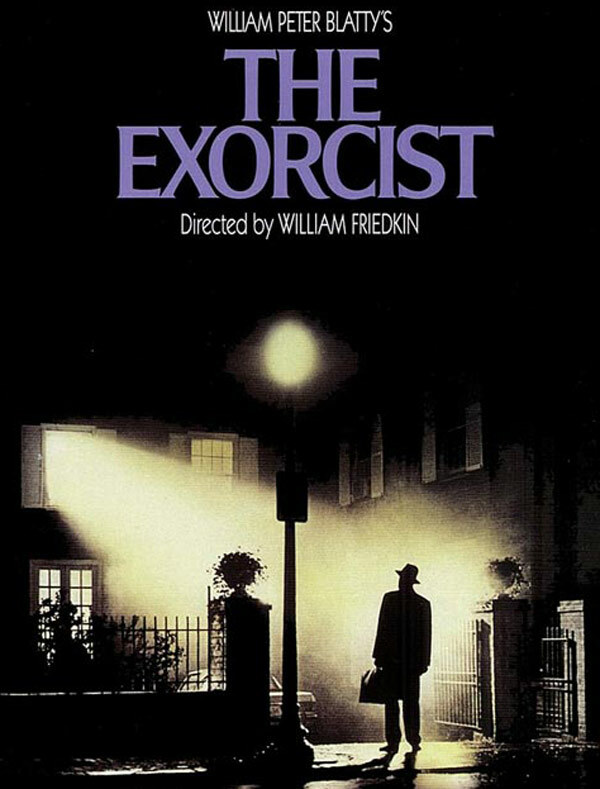 And then there’s the head-spinning horror of the actual exorcism performed by the priests. Linda Blair starred in the sequel Exorcist II: The Heretic, which follows Regan years later, where she finds that some of the evil that once possessed her still lives inside her. All I can say is, if you don’t want to be thoroughly creeped out and not be able to sleep at night, absolutely do not watch these movies. 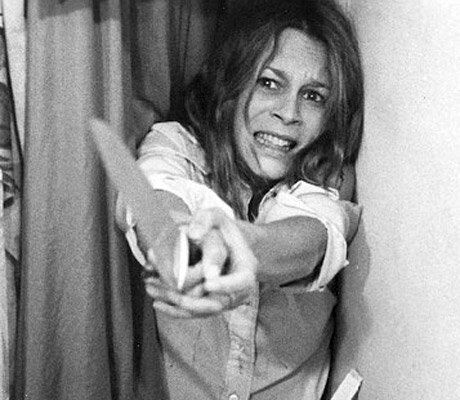 And finally, we come to my all-time favorite Scream Queen – Jamie Lee Curtis herself. 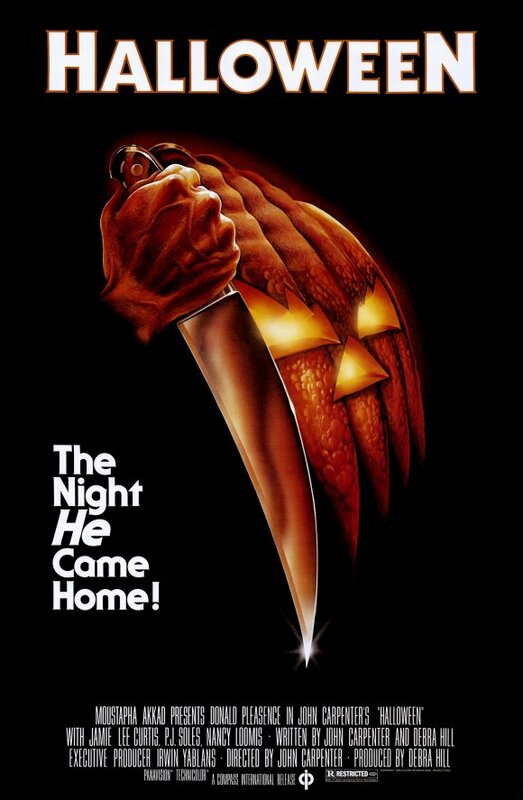 Halloween was released in 1978 and starred Curtis, in her first movie role, as Laurie Strode, an awkward teenage girl who got stuck babysitting some neighbor kids on Halloween. Poor Laurie had no idea that her psychotic, long-lost brother, Michael Myers, would decide to come get his kicks by killing all of her friends and coming for her in the end. But Laurie kept her wits about her and was determined to live and keep those kids safe! She fought back (with a coat hanger to the eye) and made it to the sequel! Halloween II picked up right where Halloween ended – following Laurie to the hospital after her traumatic fight for survival. But once at the hospital, Michael rises from the dead in the morgue and goes on another killing spree. Jamie Lee survived the hospital too, and went on to appear in two other Halloween films – Halloween H2O, which also starred Josh Hartnett and Michelle Williams, where she played Laurie as a mother and head mistress of a boarding school. Of course Michael comes for her there and she now has to protect her son and some kids at the school. (This one was also one of my faves!) And sadly, Jamie Lee’s reign as Screen Queen came to an end in Halloween: Resurrection in 2002, where Michael finally catches her in a mental hospital – where she has stowed herself so he couldn’t get to her. I gotta say, I was pretty upset when they killed her off. But Halloween isn’t the only horror movie Jamie Lee is known for. She also starred in such films as Prom Night, Terror Train and The Fog. I think she will always be the ultimate Scream Queen. So, what’s your favorite scary movie?